Conversations About Commenting – Media! Tech! Parenting! As a part of the ongoing family conversations on digital life issues, a focus on appropriate website feedback will help children develop website “street smarts” and help them to grow into more perceptive judges of what is appropriate (and what is not). Moreover children (and adults, too) need to think about writing well, because their comments will be posted on a public website and available for years to come. I found The 10 Commandments of Commenting at the computer Professionals for Social Responsibility (CPSR closed down in 2013). A comment can indicate disagreement and include constructive criticism. Comments are not the place for blatant self-promotion. 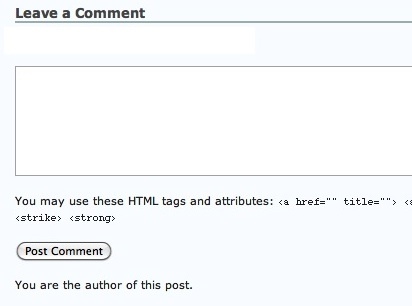 A comment requires a writer to stay on topic. Comment sections are not the place for obscene or foul language or rude and disrespectful information. Comment sections should not be used if you just want to say you like the post. Instead, use the like or share link. A comment is a piece of writing and the writer is the author. Check out my updated, positive language 10 Commandments of Commenting. A 2006 blog post at the Cool Cat Teacher blog, How to Comment Like a King (or Queen), is still relevant, nearly seven years later. Finally, Grammar Girl has a detailed post on writing good comments, focused on blogs, but good advice anytime a person leaves remarks in a public place. Grammar Girl ends her post with an interesting rap YouTube video, an interesting tool for middle or high school students, with a focus on strong comment writing. The video, Yo Comments Are Wack (also embedded below), is great fun, but watch the whole video before sharing it with your children, just in case any parts make you uncomfortable. Read my MediaTechParenting post on Grammar Girl. Previous Post My Kid’s Digital Blunders? How to React? Pingback: More on the 10 Commandments of Commenting « Media! Tech! Parenting! Thanks for sharing the Grammar Girl video! I will definitely find a use for that one in my classes! Pingback: The Public Forum, Facebook, and Democracy « Media! Tech! Parenting!